Strategic Healthcare planning is the basis for a successful project design. Considered a critical element in the process, Strategic Healthcare Planning takes into account the latest international standards and publications that needs to be incorporated in modern healthcare facilities. In healthcare today, challenges surface almost daily in terms of finance, reform, government mandates and policy, technology, and customer satisfaction. It is crucial that the medical planning experts step back and continually assess the strategic planning of healthcare organizations.Healthcare strategic planning facilitates all decisions, including those regarding capital, technology, staff and other resources. Like all businesses, the medical planners should develop a strategic plan that provides foundation for a better healthcare facility planning, to ensure client satisfaction. The healthcare planning can transform organizations, improves safety, operations and cost control. Above all, an optimal, patient-centered healthcare environment has the power to improve clinical outcomes.Modifying, expanding and developing new healthcare facilitiesrequire an integrated and multi-tracked planning approach. 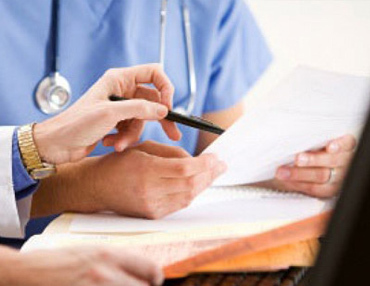 The healthcare planning at Topmed starts with identifying health-related problems within community, classifying their needs, establishing goals that are realistic in nature and finally developing and offering resources to meet needs of the clients.We ensure that healthcare systems are best incorporated for long-term advantage. Employing clear communication and consensus-building throughout, we facilitate every aspect of the decision-making process, from analyzing market dynamics and incorporating emerging technologies to rating customer demand and maximizing capital resources.We deliver services and solutions that meet the complex and evolving needs for technology. Our approach effectively integrates design and the latest medical technology, resulting in the best patient care possible, especially in the Middle East countries.